DESIGNED FOR COOL WEATHER OR HIGHER-INTENSITY RIDES, THIS JACKET SHARES MANY OF THE FEATURES OF THE R&D ZERO BUT IS DESIGNED FOR MORE MODERATE TEMPERATURES. Mild winter weather, fast training rides... 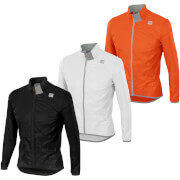 Still a serious winter jacket but designed for those who ride in more forgiving climates or at a fast pace. Strategically placed wind protection and insulation combined with extremely breathable inserts will keep you warm but eliminate sweat and excess heat when needed. 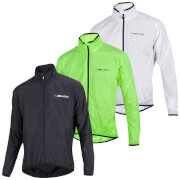 WindWick LT outer fabric is elastic, highly wind resistant, water repellent and very breathable. Polartec® Alpha® 60g insulation inserts on front, shoulders and front of sleeves for breathable warmth. DualFit fabric inserts on sleeves and back for added breathability. 1 hidden side zipped pocket. Lie-flat elastic hem with light silicone grip. This is an absolutely amazing piece of kit. I've worn it in temps ranging from 2c up to 17c. Its warm and extremely breathable. I never get chilled from sweat while riding. At colder temps, add a t-shirt over your base layer and bam, you're done. I'm going to go out on a limb here but, I honestly think the jacket is worth full price and would not hesitate replacing it at full pop. I've been riding road bikes since 1980... so this is experience talking :) Its given me an extra month of riding in the fall and spring. I live in Toronto, Canada and spring and fall can get cool.... so, there you go! Kudos to sportful on this product.